Angus didn't need another reason to get out of the shelter fast. 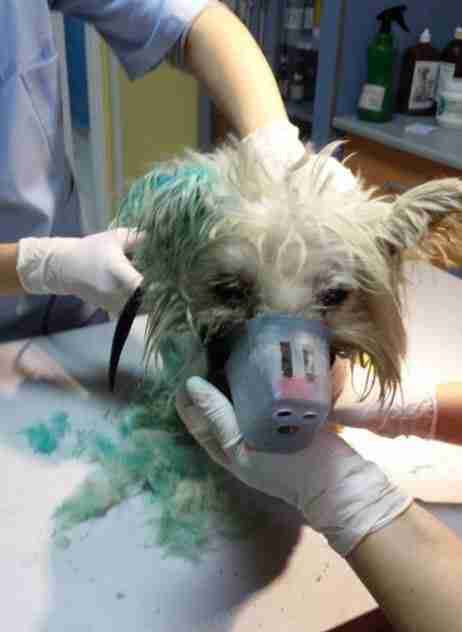 The little white terrier had already been attacked by another dog at the desperately crowded facilities in Constanta, Romania - an untreated injury to go along with the malnutrition and general misery that defined his days there. But the shelter gave him another reason to want to leave anyway. Authorities decided Angus would be among 150 dogs to be put down over a period of three days - part of a mass euthanasia event aiming to free up space. And it's what brought Anne-Marie Dimi Marcu to the shelter last January. As a vocal animal activist and rescuer in Romania, she hoped to convince the mayor of Constanta to let her try to get at least some dogs adopted. "We managed to convince the mayor to stop the killings and to allow us to take them out, as many we could, during two or three weeks," she tells The Dodo. Marcu started taking pictures of the dogs who were in the worst shape. Angus, naturally, was near the front of the line. 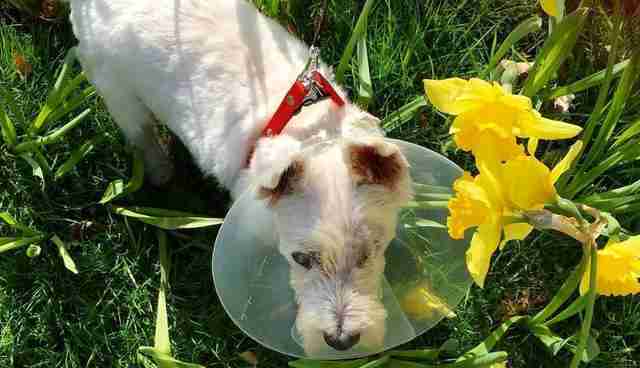 "Dirty, skinny, blind, his ears were very damaged, without fur and a lot of wounds," she recalls. "He smelled horrible." Angus was in dire need of a rescue. He had already paid the fare for his passage to freedom in pain. Marcu ended up pulling out 15 adults dogs and 11 puppies, bringing many of them to her own home. 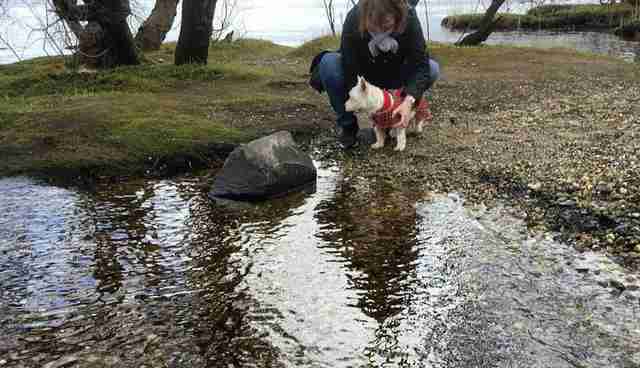 The tiny Westie just had to travel a lot farther than most dogs to get there. 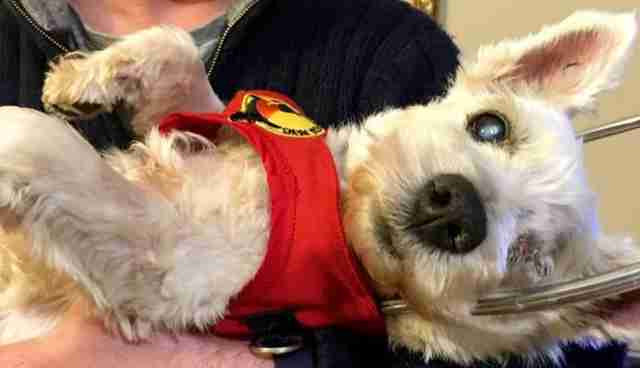 Another animal rescuer, Madalina Cristea, got in touch with Carol Richies, founder of the U.K.-based group called Westies Rescued UK. They arranged to send Angus to Scotland. But before any jarring journeys across a continent, this dog would need to reconnect with human kindness. Marcu got him to a vet. 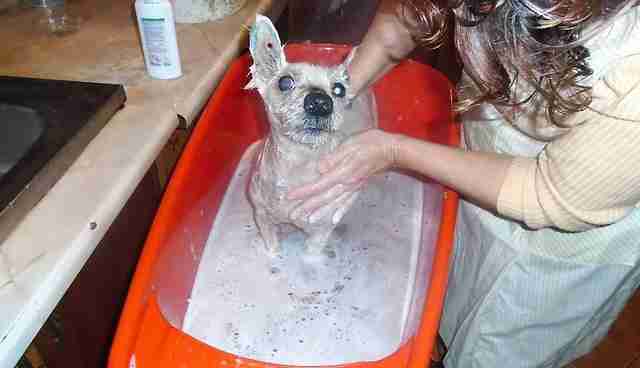 She bathed him and tended to his immediate needs. Then Angus was put in a crate and transported hundreds of miles away to Scotland. On the other end of that two-day journey, a woman named Amanda was waiting for him. She had seen Angus' plight online and agreed to be his foster mother. "He felt amazing to hold," Amanda tells The Dodo. "He was so soft and gentle considering the life he must have had." And suddenly a dog, who not so long ago was on a bulk euthanasia list in Romania, was savoring every precious second of his new life. 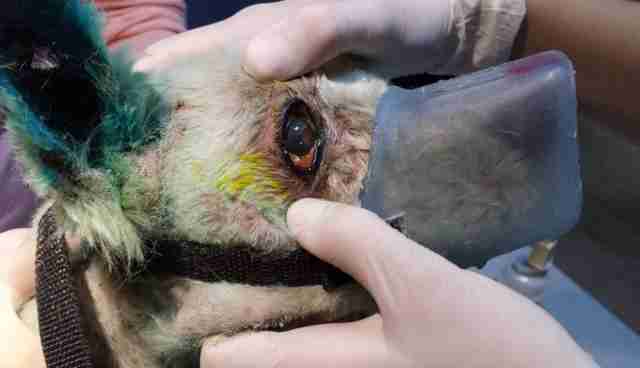 The past still haunted Angus - a veterinarian confirmed he had lung disease and an unstable ulcer in one eye that could rupture at any time. Still, he embraced his newfound freedom. "Life was good," Amanda explains. 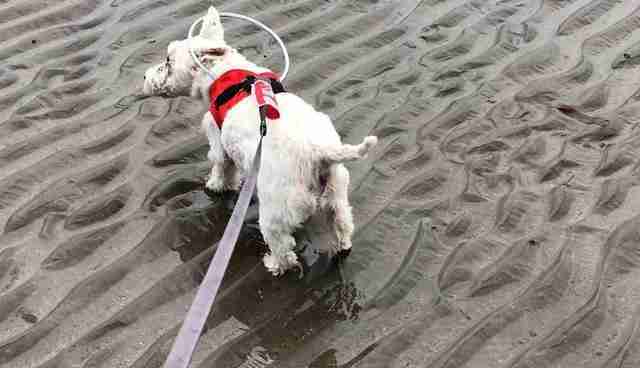 "We took him to the beach, the park and even out to dog-friendly bars. I also take Angus to the [senior] care home to see my mom and dad." "He loves it and gets lots of cuddles off the residents," she says. "He gives my mum and dad lots of kisses." In April, however, Angus' dark past literally burst into the present. "I went to give Angus my usual good morning kiss and cuddle," Amanda recalls. "He was unusually quiet. When I felt his face, it was wet down one side. I realized the ulcer had burst." 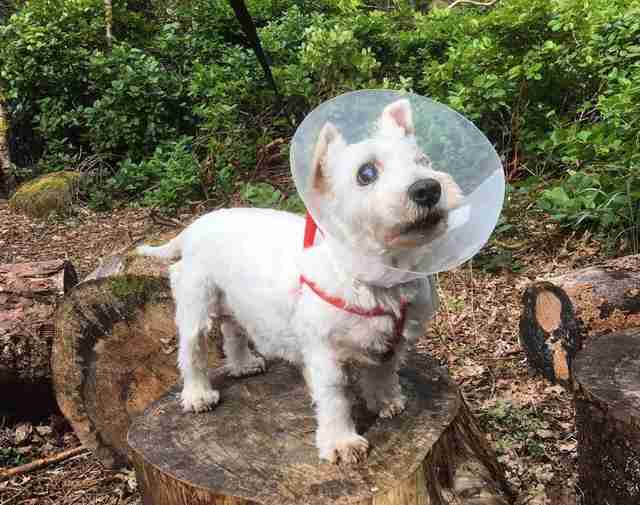 "I rushed him to the vet and he was taken straight away for emergency surgery to remove his eye," she says. Angus is now 98 percent blind. 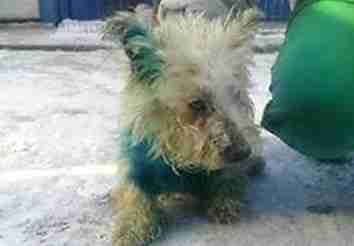 But this little dog had come too far to let anything get in the way of his new life. 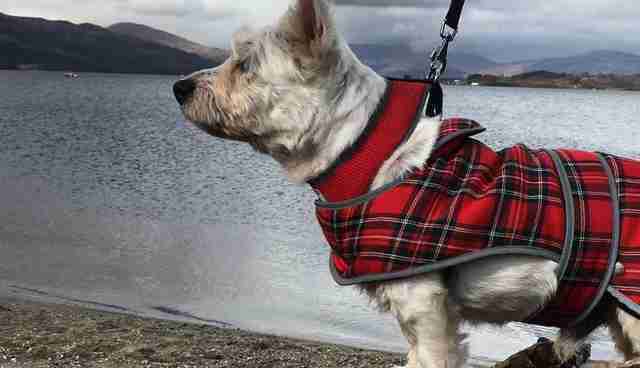 After all, he's found his way from the anonymous crush of dogs on death row to the Scottish countryside - and, most vitally, a family. It's a journey that began with a compasisonate group of people in Romania, and stretched across the sea to a rescue in the UK. It won't stop there. A campaign to help pay for Angus' ongoing treatment has raised nearly $2,000. For Angus, this won't be a fleeting moment of happiness. His awakening will be a lasting one. Because this terrier has fallen into just the the right arms. You can follow Angus' journey on Instagram. And consider making a donation to help him continue to get the medical care he needs.